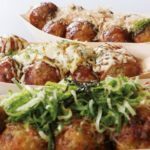 In Osaka, the flour cooking such as Okonomi-yaki (Japanese pizza) and Tako-yaki (octopus dumplings) are famous, but in Tokyo, its equivalent is [Monja-yaki]. Apart from many famous restaurants, many [Monja-yaki] restaurants are dotted around in Tokyo. You can enjoy a little unique menu. I’m introducing [Monja-yaki] restaurants with a reasonable price to ones with a special menu. 1. 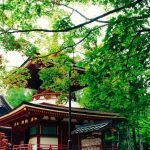 The [Monja-yaki] holy place, Tsukishima! If you talk about the [Monja-yaki] in Tokyo! The [tsukishima] is the one! Among many [Monja-yaki] and [Okonomi-yaki] restaurants on the Monja street in Tsukishima which is the [Monja] holy place in Tokyo, the most popular one is [Monja-Kura]. At any time, the customers who are waiting for their turn to enter the restaurant are queueing up. This restaurant has been applying the general Kansai-style, self-grilling. If you are not used to it, you may be confused, but the more you get used to, the more addictive you will become. The restaurant is so spacious that you can relax with your baby in the pram. The Tsukishima [Monja-yaki] is this type of restaurant! Please visit there. You can taste the Monja-yaki on the Yakatabune (a Japanese house-boat), [Tsukishima Monja Yakatabune]. It could be beneficial to use it on a date or as a dinner party. Depending on the season, you can enjoy the Monja-yaki, viewing the cherry blossoms at the same time. It creates a very different atmosphere. There are 2 different courses, such as the [Odaiba-course] and the [Sumida-course] which both travel around the famous places in Tokyo. The boarding points are different, so please be aware of it when you book. As it is reservation only, please book the time in advance. Please experience the special atmosphere which no other places can offer! The [Asakusa Monja] has been long established in the snack-monja which used to be sold at the cheap snack shop after the war. You can enjoy such a Monja-yaki at the [Rokumonsen Honten] in Tokyo. Without forgetting the plain taste from the baking flour used only, they have been offering them at a price as low as possible for a children’s snack. 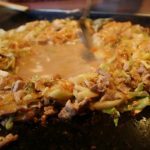 You can also enjoy the modern day toppings, but this conventional Monja-yaki is worth trying. If you want to enjoy the Monja-yaki in Tokyo, please drop in at this restaurant. 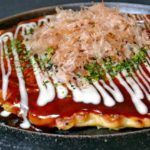 At the [Kiyokawa] which has moved out of Asakusa, you can enjoy the Monja-yaki from the old long-established restaurant under the 2nd female boss. The Monja-yaki is recommended, but actually you can enjoy the Foil-yaki (grilled in foil) as well. 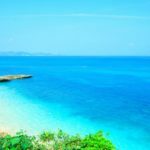 It is said that this restaurant is the original for the Foil-yaki and you can enjoy the seasonal Foil-yaki. When you order it as a set, you can have a luxurious meal with the Yakisoba (grilled noodles). The Morishita station has a good olden downtown atmosphere and it matches with this restaurant very well! I would be glad if you could enjoy the long-established taste, watching the female boss’s skillfull grilling until your heart is thoroughly warmed. In spite of it being a little far away from the Kichijoji station, at the weekends, the [Tamaya] requires a reservation. The staff members at this restaurant seem to be attentive towards their customers. They give their warm welcome not only to the locals but also to customers who come from far. The menu consists of the regular Monja as well as Okonomi-yaki, salad and the nibbles. It takes 15 minutes by train to get to Kichijoji from the Shinjuku station. Please visit just once to enjoy the delicious Monja-yaki. 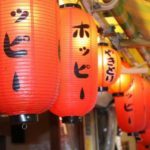 The [Ohkiya Ichigaya-ten] is a unique restaurant in Tokyo where you can enjoy the Monja-yaki course cuisine with a reservation only. 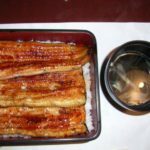 The Ohkiya has the head restaurant in the Arakawa-ward and the COREDO Muromachi-ten in the Chuo-ward apart from the Ichigaya-ten and they are all offering the different dishes with the different concepts. On the course cuisine at the Ichigaya-ten, you can enjoy the Monja-yaki in the luxurious atmosphere. Your eyes seem to focus on the steak in this course, but the Ohki Monja is very filling with the 11 different kinds of ingredients to satisfy your stomach. Please experience the special feeling at this reservation only restaurant! 7. You can taste the downtown-styled Monja-yaki [Daruma Tokyo SkyTree Town Solamachi-ten] This restaurant opened in the Solamachi near the Tokyo SkyTree in May 2012. The restaurant has only got table-seats and at lunch time, it always has a long queue as it is in the popular Solamachi. So, it is recommended that you should stagger the time to go there. There are choices whether you grill it by yourself or you ask a staff member to do it for you. 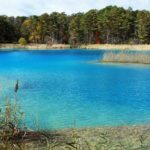 If you are not used to it, it would be better to ask a staff member. You can enjoy various tastes of Monja-yaki from the orthodox one to the younger people’s favourite one. When you visit the Tokyo SkyTree on holiday, please drop in at this restaurant. The [Shibuya Masuda-tei] is a long-established Monja-yaki restaurant which was opened in the 32nd year of Showa (1957). It is on the other side of the scramble crossing in front of the Shibuya station. At this restaurant which is a few minutes-walk from the Hachico (dog) statue in front of the Shibuya station, you can enjoy the Monja-yaki with their original sauce. 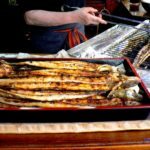 As it has already been flavoured, people who are not used to grill the Monja-yaki can feel relaxed. The recommended menu is the [Masuda-tei Seafood Special]. It consists of plentiful fresh seafood like pieces of an octopus. I’d like you to try it just once. This restaurant, [Tsuchibotaru] is open until 5 o’clock in the morning, so you can enjoy the Monja-yaki instead of the ramen as a food after drinking. As it opens early evening, it looks as if it is the restaurant for a dinner party, but you can see the cheap snacks as soon as you enter the restaurant. They offer those cheap snacks to children up to primary school pupils as part of their service. You can enjoy it with your family. The price is reasonable and the menu has variety. The chef’s recommendation is the Monja-yaki in which one whole mentaiko (Pollack roe) is used. It has a luxurious and profound flavour. Why don’t you visit this restaurant which is located in the residential area, the Setagaya-ward in Tokyo. Even if you are a beginner, you will feel safe and secure, as a staff member will grill one for you. 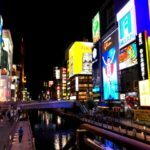 It is located in the place which is in a short walking distance from the Honjoazumabashi station. 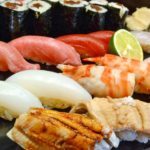 You can enjoy not only Monja-yaki for which their obsessive kelp broth is used but also the Seafood course which includes the freshly purchased sea products on the day. The plain salt taste Monja-yaki with some raw seaweed on the top is their original recipe. You can’t taste it at any other restaurant. I’d like you to try this restaurant with your family or friends. Enjoy the delicious Monja-yaki in Tokyo. 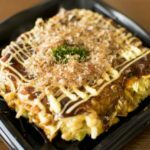 The Monja-yaki is the equivalent gourmet of the Okonomi-yaki in Osaka. In Tokyo, you can enjoy the Monja-yaki at various sightseeing places, starting with Tsukishima. The main way of enjoying the Monja-yaki is sitting around one iron plate and grilling it with excitement. It will give you a good atmosphere and conversation! When you visit Tokyo, please enjoy the Monja-yaki!